Great quality plus size fashion is what A Plus Market prides itself on. Local designer Icelandic Blue fits the bill offering high end great quality pieces. “Most of our clients are professional women who work and need a wardrobe that gives them the confidence to present to the board, attend a job interview, go out to functions such as weddings, cultural events and of course on a date! Why should the only choices be shapeless sacks and trackie pants? Icelandic Blue sources fabrics from all over the world, the current collections features a beautiful fabric from a German supplier as well as luxurious custom dyed silk velvet. Icelandic Blue manufactures in Melbourne with each item produced only in small quantities to ensure their exclusivity. No slave labour here! Icelandic Blue’s signature is simplicity, elegance and comfort. 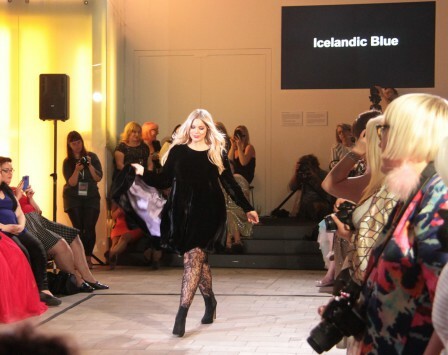 Come along Sunday to see and more importantly feel the elegance and quality of Icelandic Blue’s collection. A Plus Market has more to offer than plus size fashion! 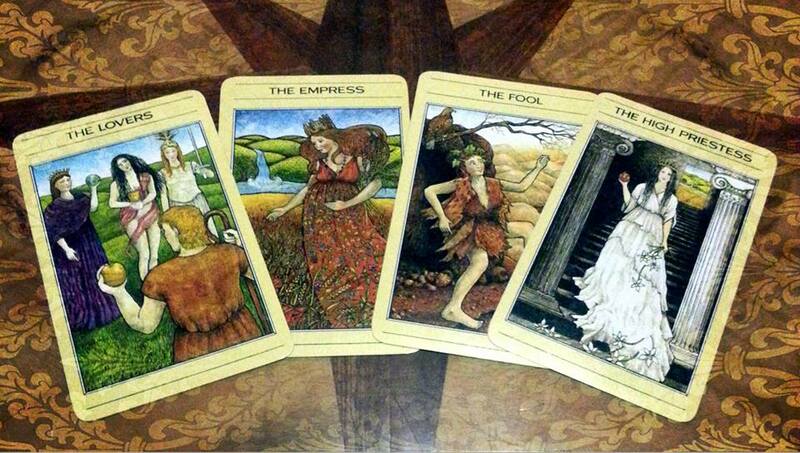 This market round we have our very own tarot reader, Madame Majestika will be offering up some hidden insights. Have you ever wished that Fate would give you a little push in the right direction? Are little lingering doubts keeping you awake at night? Or are you just curious as to what the future might hold? Using the medium of Tarot Cards, Madame Majestika will weave the confusing threads that surround your troubles and questions into a path to take, some gentle guidance or words of advice. Nothing scary and nothing intrusive, no need to spill deep dark secrets! Let your curiosity be your guide and find your way to the Madame’s table this Sunday. 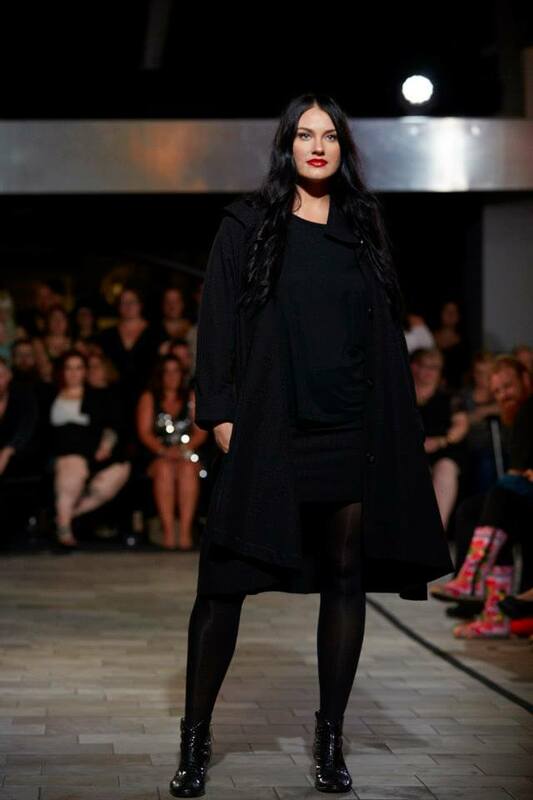 Unique and ethically produced plus size fashion are two things that A Plus Market loves. If you do too, then you’ll also love Simply Christene. Simply Christene a designer dressmaker heralding from Ballarat offers a range of locally designed and handcrafted clothing off the rack. All the pieces can also be custom made to suit perfectly. Simply Christene’s range is individual, quirky sometimes nostalgic and all tailored to fit curves. Garments are often a one off or one of three and each one of those three is unique in the fabric. With a preference for natural fibres; cottons, linens, wools and a variety of blends, fabric is sourced from a variety locations and purchased in small amounts. One can rest assured when investing in a Simply Christene piece, you are not only getting that something different but that it is of the highest quality. Come along to A Plus Market Sunday May 10 and see Simply Christene’s eclectic blend of dresses, tunics, tops and wraps for yourself. Again A Plus Market is delivering you amazing bargains on quality plus size fashion! Red Lantern was founded on the philosophy that women should be able to dress fashionably with sophistication & style irrespective of their figure. Taking pride in offering original plus size clothing designs that are tailored with utmost quality for the distinct lady, Red Lantern is based in Melbourne and is now operating 24HR online. Make sure you come along to our Mother’s Day Market, support this local business and get yourself a gorgeous new coat. Especially as Red Lantern as a Mother’s day special are offering all stock for crazy low prices; from $10-$40. Diverse and unique plus size fashion is what A Plus Market is about, bringing new brands for you to find, check out and love. Ruby & Lilli are yet another new brand that will find their way into your heart. Ruby & Lilli are a Mother Daughter duo that believe anything in life can be luxurious and glamorous, especially a t-shirt. They are casually chic with touches of glamour and always sassy. They adore anything that sparkles, bright lipstick and sipping champagne cocktails. Relative new comers to the fashion world, only launching in December 2014, they have already made a mark with their luxurious, quality, fun and flattering slogan tees. 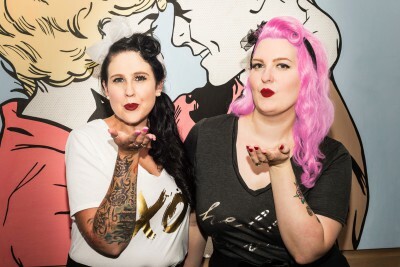 Created to fill the gap in the market that left out curvy girls, R&L celebrate the curvaceous woman and design their tees to fit and flatter accordingly… designed by women with curves FOR women with curves right here in Australia. Elegant touches such as the signature twisted neckline and the velvety soft fabric ensure you feel special every day. The extra length and relaxed fit of both the tee and the sleeves increase comfort without relinquishing glamour. Wear yours casually chic with boyfriend jeans and a statement necklace, or tuck it into a high-waisted skirt and wear with peep-toe stilettos for a glamorous look. With R&L tees the options are endless… and gorgeous. We are really excited to be hosting R&L, they are travelling from interstate so it will be a rare opportunity for you to meet the girls and see the brand up close and personal. And they have an awesome Mother’s Day special will be offering all current tees for $25 (usually $45), plus though not included in the sale, if ready you’ll have the first peek at the next release. Make sure you’ve got the market date in your diary and make it along on the day to welcome R&L to Melbourne! Not just fashion, fashion and more plus size fashion A Plus Market also offers a great selection of accessories! Green Gecko Jewellery will be bringing a gorgeous range of shiny things along to the Mother’s Day market, perfect for you and your Mum! 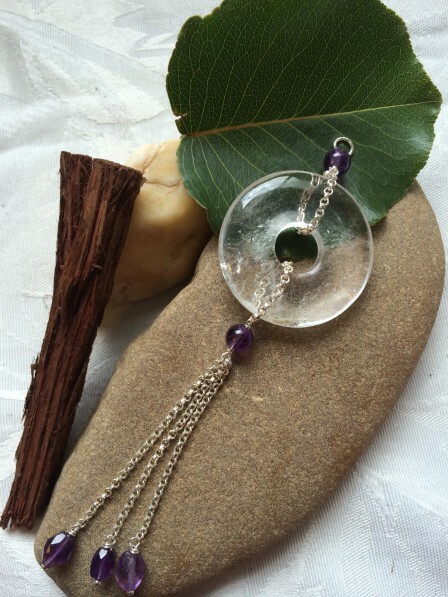 Green Gecko Jewellery began with Pam’s love for gemstones and all things shiny. Qualifying as a gemologist, Pam paired this expertise with her creative side, designing and producing by hand every piece in the Green Gecko Jewellery portfolio. Sourcing natural gemstones from around the world to use together with glass, metal and Swarovski crystal beads are used to create unique and different stock. 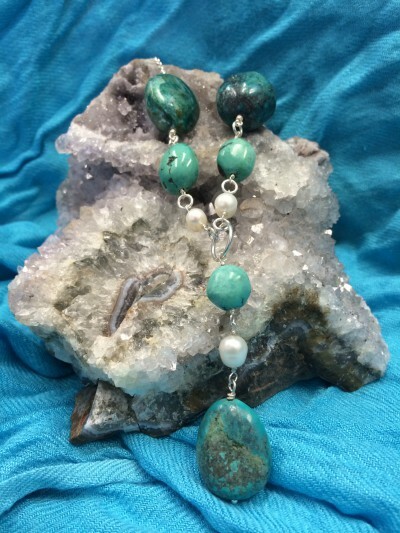 Come along to A Plus Market this Mother’s Day to get up close and personal with Green Gecko Jewellery and enjoy their Mother’s Day Special of a necklace and earring set for $15! A Plus Market is becoming renowned for it’s extensive plus size fashion choices. With winter fast approaching we will all be on the look out for those perfect woollies and fashion forward layers. The upcoming market on Sunday May 10 will deliver this and more. We are so pleased to announce Sonsee Woman is attending, bringing THE winter wardrobe essential – HOISERY! Sonsee Woman are a local company who have created an Ultra stretch hosiery product that will revolutionize the plus size fashion world. Specifically catering for plus sized women Sonsee have designed a range of hosiery from size 14 – 28. Sonsee (def): Strong, healthy, curvy, cheerful and good-natured. 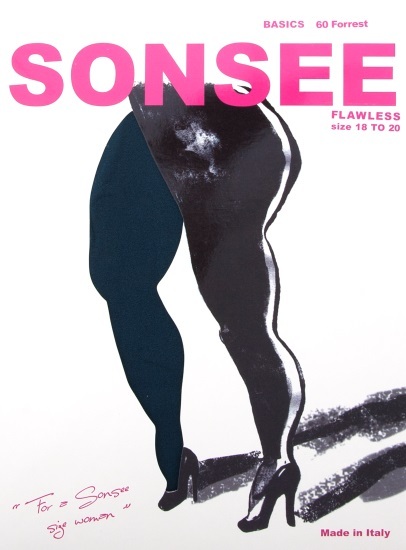 Until now, plus size hosiery has been tight, controlling, restricting, uncomfortable, sold in bland colours and generally thrown out after one wear. Sonsee has discovered the best thing to come out of Italy – next to Sofia Loren, that is. Italian materials and manufacturing have married to create hosiery that stretches beyond your imagination. We don’t just make our 14- 28 hosiery collections longer in the leg or simply add an ugly back panel, then label it PLUS SIZE. We actually make the product to FIT a TRUE 14 – 28 woman ALL OVER. Sonsee offers a broad range of products and seasonal colours. Sonsee hosiery fits the lower legs, the thighs, the hips and the bottom without sagging, bagging or muffin-topping!! No more superwoman with Sonsee there is no need to put underpants on top of your hosiery to hold your hosiery up Sonsee will not ride down. And as a Mother’s Day special A Plus Market customers who buy two pairs will receive a 10% discount. Have a peek at Sonsee’s product gallery online and then get along to A Plus Market Sunday May 10! Shopping A Plus Market is all round fun, fabulous fashions and lovely ladies, times a plenty. The sheer number of quality clothes to check out can make it a hungry job. That’s why we have now enlisted an awesome food van to meet our culinary desires. 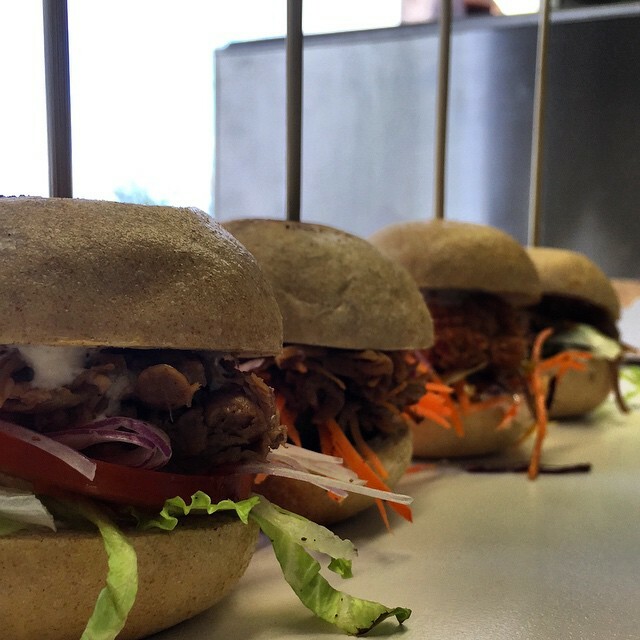 Mamma Van will be with us at Darebin Arts & Entertainment Centre this Mother’s day, May 10 and they will be serving a tremendous selection of yummy foods! 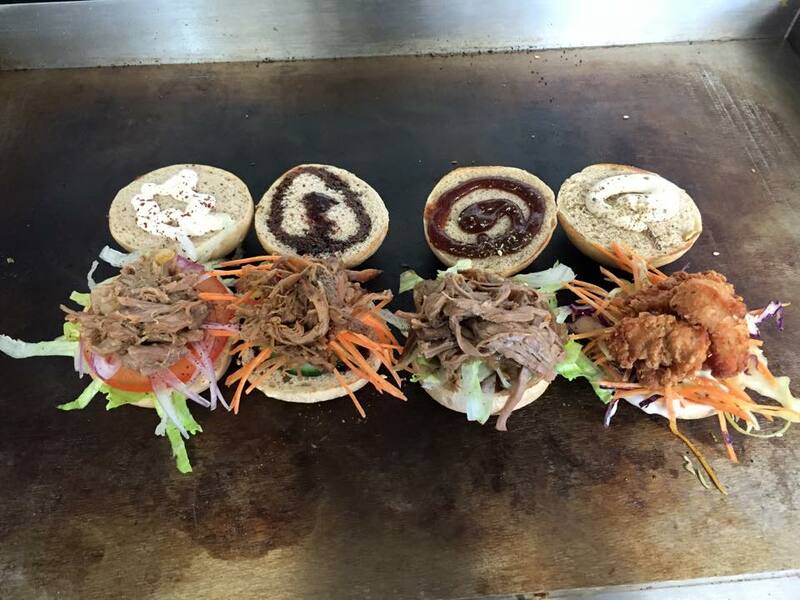 SLIDERS!!!!!! CORN TORTILLA PUFFS!!!!!!! BUFFALO WINGS!!!!!!! As the next market is the same day as Mother’s Day, Mamma Van are offering a two for one on their Churros! Though only if you rock up with your Mum. That’s right two for one Churros! (only with Mum present). That’s a present in itself! A Plus Market offers you a chance to meet and greet the designers behind our favourite plus size fashion brands. Hope & Harvest is a regular at A Plus Market and thankfully so as Harvest (the head designer of the brand) is one bubbly lady AND their clothes are rocking! Hope & Harvest is recognisable around the world for its sleek, urban and glamorous take on ‘desk to dinner’ essentials. But what their loyal buyers really appreciate, is the distinct pleasure that comes with wearing high quality garments that have been engineered for curves, by designers with curves. For Hope & Harvest garments don’t just look good – they inspire confidence, are functional and comfortable. Yes… the ‘c’ word! Every woman feels good when she looks her best, which is why the team at Hope & Harvest implement their engineering expertise to create exceptional pieces with the highest grade quality and fit, as well as cutting edge design, to make you feel your best. Buying Hope & Harvest pieces not only represents an investment in high quality fashion, you’ll find yourself reaching for them as your ‘go to’ wardrobe essentials time and time again. 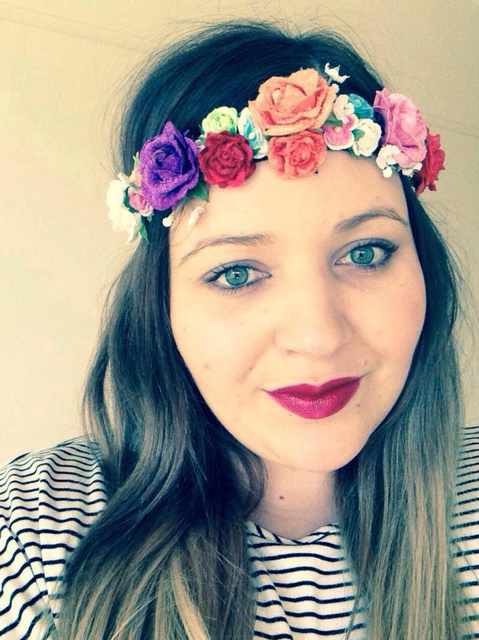 The grand opening of A Plus Market’s new Preston venue is going to be a plus size fashion bonaza! We have around 50 stalls! Another of our pre-loved plus size fashion sellers is the very lovely, Sarah. I love summer but fear the whole chaffing issue… my summer tip would be to invest in BB cream! It allows me to wear all those cute summer dresses and skirts without having to worry. Do you have a piece of clothing you just can’t part with even though you don’t or can’t use anymore? What is it and why do you love it? What do you think should be in every ladies wardrobe? My essential is a really great Leather Jacket. I’ve had mine for over 7 years now and I can’t tell you how many times it has saved my outfit! It’s just so versatile, you can wear it with a cool t-shirt and a pair of jeans and back with a dress or skirt. My only issue is finding one in plus size, I think there needs to be more out in the market. Why are you having a stall at A Plus? Over my time working in the fashion industry I have collected my fair share of clothes! It would be nice to make some room in my wardrobe to buy new ones! Come and raid Sarah’s outfits, THIS SUNDAY!